Are you one of those Aspiring TESDA trainees but doesn’t have any idea on how to apply? Out of school youth? Here is the solution to your problem. With this progressive step by step process, you will learn how to enroll in any TESDA accredited Training institute. TESDA is also offering scholarship program for those who are not blessed with wealth or are barely making it to schooling, specifically those who cannot afford to go to college due to lack of financial capability and any reasons which stop you from having a brighter future. 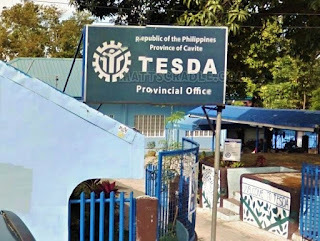 TESDA is compassionate to its trainees and are ready to offer its assistance to all your needs. Requirements depend on which institution you enrolled in, check here for the courses offered this year. Related: TESDA also offer FREE Online Courses. Learn new skills without leaving your home. Go to your nearest TESDA accredited Training centers. Inquire about the training availability of your choice. You will be set to a specific date to take an entrance examination. After submitting all the necessary requirements, an employee will get your phone number to notify you about the starting date of the training program you enrolled in. •	Additional photo ID (Passport size) for any scholarship program available in the institute of your choice. After graduated to your desired course, you must get a National Certificates (NC) or Certificates of Competency (COC). This is your proof that you enroll and pass all the exam under the course you've take. Click here for the instruction on How to Apply for Assessment and Certification in TESDA (NC/COC). Ask ko lang po pag Grade 10 lang po ang natapos? Hai po ask ko Lang po Kung pwedeng mag enroll Ang 17 year old at hnd po tapos ng high school. ilang months po ang housekeeping ?